Maintaining your DeLonghi espresso coffee machine is a must to ensure consistency in the quality of your coffee and your machine. 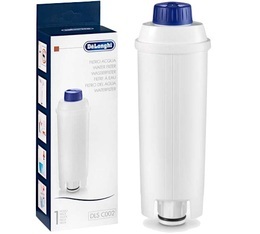 We have selected the best cleaning products from the DeLonghi range: descalers, milk system cleaners, water filtering cartridges and other cleaning products so you can successfully look after your machine. EcoDecalk descaler for espresso coffee machines and bean-to-cup machines. Protect your coffee machine from limescale and extend its lifespan. For 5 uses. Maintaining your machines is essential if you want to retain the taste of a good coffee and keep your coffee machine in excellent condition. 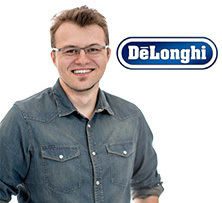 Discover the range of Delonghi products, individual items or special packs to save money.